Editor's Note: the property is close. 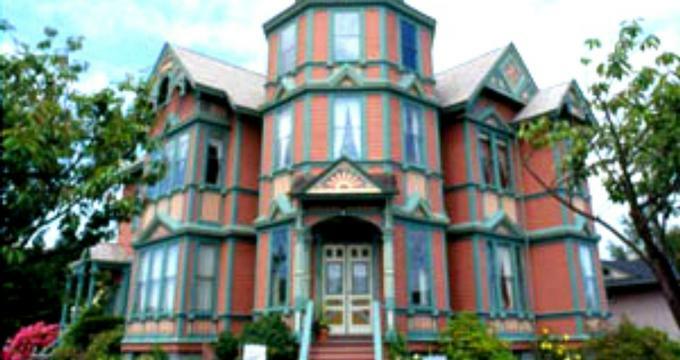 The Ann Starrett Mansion is a charming 11-bedroom Victorian hotel located in the heart of Port Townsend's quiet uptown historic district. 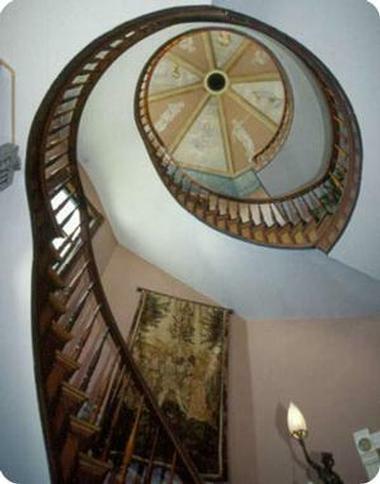 Built in 1889 for the love of a woman, the beautifully preserved mansion boasts unique architectural features such as a curious three-tiered spiral staircase that winds its way up a 70-foot tower with a unique solar calendar in the dome. 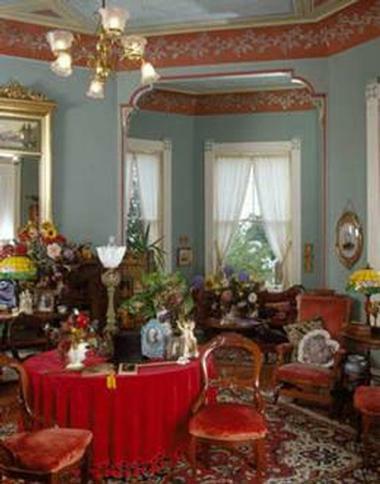 Situated on a bluff overlooking Puget Sound,WA, the Ann Starrett Mansion is built in the Queen Anne style and is exquisitely detailed with intricate moldings, detailed frescoes, and luxurious antiques, creating a glorious retreat that takes guest back in time. The mansion features beautifully-appointed guest rooms with plush decor, antique furnishings, and four-poster beds, and private bathrooms with showers and/or baths, thick towels and luxe bath amenities. Located in the heart of the quiet Port Townsend uptown district, the mansion is within walking distance of many of the town's attractions, including the historic market place, theaters and movies, galleries and museums, cafes, bars, and restaurants. The Ann Starrett Mansion features 11 charmingly appointed guest rooms with plush decor, private bathrooms, and beautiful views. All guest rooms enjoy luxurious furnishings, private bathrooms, in-room coffee makers with complimentary coffee and tea and free wireless Internet throughout. The Master Suite is located on the second floor of the mansion and boasts breathtaking views of Mount Rainier and the Olympic Mountains from large windows. The suite features a magnificent double canopy bed with luxurious linens, antique furnishings, a cozy sitting alcove with a 'fainting couch' and a private bathroom with a shower. The Drawing Room is a majestic turn-of-the-century room decorated with century-old antiques and featuring a queen-size bed, private bathroom with slipper tub and sink, and beautiful views of the snow-capped Cascade Mountains and Mt. Rainier. 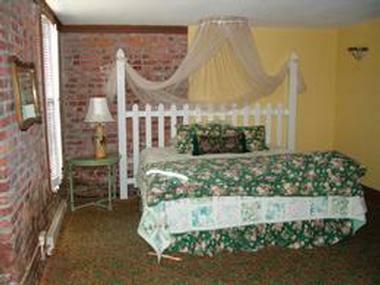 Ann's Parlor is a charming queen room with a romantic canopy bed, private bathroom with walk-in shower and a secluded balcony overlooking the Puget Sound and the Cascade Mountains in the distance. 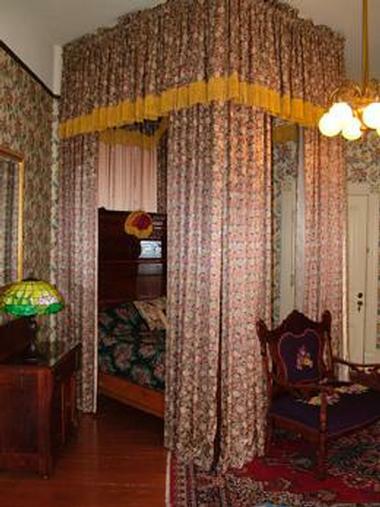 Nanny's Room is an intimate room named for Morris Starrett's nanny who slept here and features a queen-size brass bed, private bathroom with shower and lovely antiques. The Gable Suite is located on the third floor of the mansion and is a well-appointed two-bedroom suite with glorious views over the Puget Sound. The suite features a king-size bed in the master bedroom and a double bed in the second bedroom, a master bathroom with soaking tub and a second bathroom with a hand-held shower. The Garden Room is a romantic hideaway with lovely garden views. This inviting room features a king-size bed and a private bathroom with a shower and clawfoot tub. The luxurious Heritage Suite is a two-bedroom suite furnished with century-old antiques and treasures, a wrought iron queen-size beds and two private bathrooms with separate shower and soaking tubs. The Heritage Suite has lovely garden views. The Carriage Room opens out onto the pretty garden through beautiful French doors and features a romantic four-poster queen bed and private bathroom with shower. A delicious breakfast is served every morning in the dining room and includes an array of continental choices such as freshly baked pastries and bread, cereals, yogurt and fresh fruit, and hot coffee and tea. The Ann Starrett Mansion is an ideal location for a romantic and intimate wedding, or small, private conference. The mansion has two parlors and a dining room that can be used for functions, as well as beautiful guest rooms and parlors that can also be rented. The dining room can be used for elegant reception or rehearsal dinners. Port Townsend is a wonderful little seaside town and offers a variety of fun things to see and do from maritime pursuits to cultural and historical outings and excellent dining. Located within close proximity to the famed Olympic National Park and the Fort Worden State Park, outdoor and recreational activities are endless, with hiking, mountain biking, kayaking, fishing and climbing just some on the menu. If you prefer something a little less strenuous, Port Townsend and the surrounding region has a plethora of museums, art galleries, architecture treasures and antique stores to explore, as well as excellent shopping and fine dining.